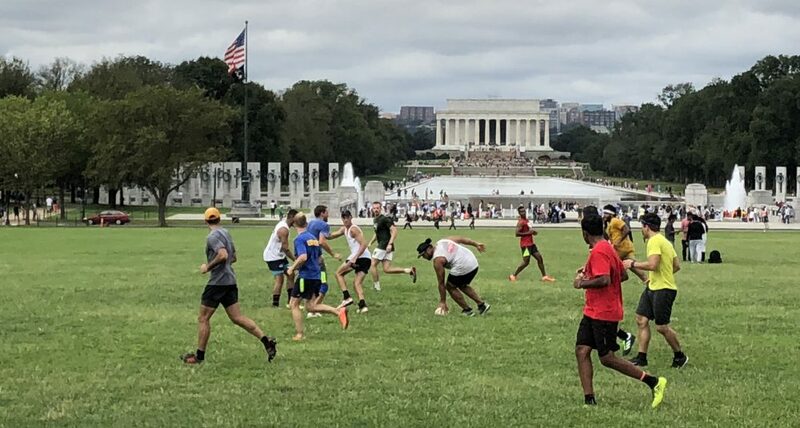 Start touch rugby at 9:00 AM, end slightly before 11:00 am leaving us enough time to get to a place to watch the world cup final. Start touch rugby at 2:00 pm, play with inspiration and thoughts of glory in our minds from the rugby we just watched. Didn’t realize the game was at 12:00 pm and not 11:00 am like all the others have been. Start touch at 9:30 am like always and then watch the rugby after. Start touch at 3:00 pm. I’d suggest 3 pm. The final starts at noon. With the prize giving, and getting to the mall and everything, I think 2 pm is a tough ask. But that’s my vote – afternoon at 3. I am good either way. I’ll come out either way, but I’m more for post 2:30 or 3PM as well. Option 1. Morning is the best for me. But I’ll probably come either way. I prefer the afternoon but can do either. I vote 9am. If the afternoon it would need to be from 230 or 3.